Our philosophy since day one has been that if we would use a product ourselves and give it to our friends and family then we will recommend it, and if we wouldn't then we won't. The area of natural and organic cosmetics ingredients is very complex and it can sometimes be a minefield for customers trying to work out whether products are as natural as they claim. It comes as a surprise to many people that the word organic is not legally protected in relation to cosmetic products in the same way that it is for food, which means that there have been lots of brands jumping on the green band wagon and making organic claims for products that contain very little in the way of organic ingredients. On the other hand, cosmetic products are very different from food and we expect them to perform and last in a totally different way. You would not expect to open a pot of yoghurt, keep it at room temperature and dip your fingers into it daily and still expect it to be safe to use 6 months later, yet this is exactly what we demand from our skincare. Therefore, some technical ingredients are essential to preserve products, stop the oil and water based ingredients separating and also to make them foam in the case of washes and shampoos. Generally, it is the number of these technical ingredients (which cannot be called organic as they are not farmed or grown) necessary to make an effective product that determine what % of organic ingredients the product contains. When choosing whether to recommend products and add them to our website we make decisions on a case by case basis. We always take into account how technically difficult it is to produce an effective product to decide whether to accept a particular formulation onto our website. For example, it is very easy to make a totally organic lip balm and many brands offer them so we would never recommend a lip balm product that was not organic. However, when it comes to hair styling products or nail polish things are a little trickier. These products are technically very complicated to make and since effectiveness is crucial, we do accept a far greater number of technical ingredients in these products. They are as natural as they can be for their product type, whilst still working effectively. Because who wants hairspray that doesn’t hold or nail polish that peels straight off, it’s pointless, even if the ingredients are pure. We will not recommend products that we don’t believe are good enough to do the job as it is very wasteful and bad use of the planets resources for customers to be buying and throwing away unused bottles of ineffective products. Many of the products in our range are independently Certified Organic, when they are not, please be assured that we have vetted them carefully and considered that for their product type their ingredients are necessary and in line with our ingredients policy. If you ever have questions or concerns about ingredients, please get in touch, we love talking to people who love organic products and will be happy to assist you. There is a lot of confusing information going around the internet about the similarities/differences between Sodium lauryl sulfate (SLS) and Sodium coco sulfate (SCS) in particular. We have recently received a number of enquiries about our ingredients policy in relation to SLS and other foaming agents, with some people expressing concern that some of the items that we stock have names that sound similar to SLS – a harsh detergent that lots of people wish to avoid. Our reason for being is to supply clean, green products that we would be happy to use on our own skin and that of our children. In choosing the products to stock we always keep this principle in mind. Read on to find out more about the complexities of foaming agents and why you can trust the products in our range. There are lots of different surfactants (detergents & foaming agents) used in cosmetic and household products, many of which have names that sound similar to SLS but are very different in terms of their irritancy to the skin. These can be made in similar ways and have similar names but they vary massively in terms of how harsh they are to the skin. Sodium Coco Sulphate, SLES, Ammonium Lauryl Sulphate (ALS), Sodium Myreth Sulphate, and Sodium Lauryl Sulfoacetate to name but a few. If we specifically look at SLS (sodium lauryl sulphate) versus SCS (sodium coco sulphate); both ingredients are made in the same way, by treating fatty acids with sulphuric acid and then neutralising with an alkali. The difference between them is that SLS is made using purified and isolated Lauric acid, whereas SCS is made using whole Coconut oil. The result of using these different starting materials is that SLS is a relatively simple molecule and has a small molecular mass enabling it to easily penetrate the outer layers of the skin and cause irritation to underlying living skin cells. On the other hand SCS has a more complex molecular structure which has a much greater molecular mass. This prevents it from penetrating the epidermis, and means that it has far less irritancy as it cannot reach the living cells under the skin surface. This difference is recognised by international authorities, and in fact these two molecules do have different CAS Numbers (Chemical Abstracts Service which identifies all chemical compounds in an internationally approved database). The CAS Number for SLS is 151-21-3, but for SCS it is 97375-27-4. This can be confirmed by checking the official EU Cosmetic Ingredient Name (CosIng) website. We do our own research into cosmetic ingredients as well as taking the advice and guidance of the various organic certification bodies. Sodium Coco Sulphate is permitted by the OFF & Soil Association who certify Green People & Skin Blossom products, some of the brands that use sodium coco sulphate. These brands are very well respected in the organic industry and make highly effective products. They pay very close attention to the ingredients that they permit into their products and we have absolutely no hesitation in selling them and recommending them as we use them ourselves. 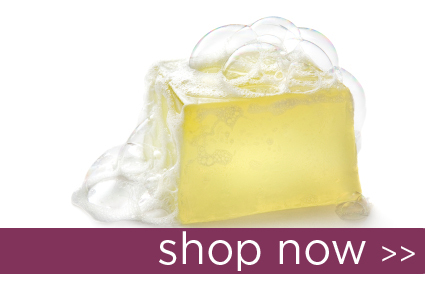 There are lots of other foaming agents that natural brands use such as decyl glycoside and cocamidopropyl betaine, which are much gentler on the skin than SLS & SLES; you will often see these ingredients in the body care products that we sell too. Sometimes, it is worth taking a moment to consider why a source of information might be claiming that a specific ingredient is undesirable. At least one of the pages that we have read criticising SCS comes from a brand that sells products that don’t use this ingredient. All of their foaming products are soap based (saponified oils are soap) and that is why they don’t need to use any detergents or ingredients such as sodium coco sulphate or its alternatives. These types of products feel different in use and don’t perform in the same way as a regular shampoo or shower gel, soap based products can sometimes feel drying on the skin too as they are alkaline rather than acidic like the skin’s own oils. If you are concerned about a particular ingredient each of the products on our site lists the ingredients in full so that you can see for yourself and make an informed choice before you make a purchase. We hope that this has helped to explain this complex area, but of course if you do need any further help or advice choosing products, please don't hesitate contact us or call one of our product specialists on 020 8465 5600. We are here to help. Shop for SLS FREE SHOWER GEL on Amazon. Summer may still be far away, but it’s never too early to start taking a little extra care of your feet, ready for when they have to come out on display once more. If the weather turns and we get a lovely warm spring, it could be sooner than you think. Of course, feet are never better than when fresh from a pedicure at the salon while you lie back and relax. But who has the time (or money?) to make salon spa pedicures more than an occasional treat? Follow our simple times to take matters into your own hands and you’ll be able stretch out the time between pedicures and to bare all with confidence when the time comes. Usually at this time of the year, dry skin is the most common problem for feet. Sadly it’s just not warm enough for hot sweaty feet to be a problem right now! The main reason why feet get dry is that it’s just way too easy to totally forget about them under thick socks and tights. For those of us who use body lotion regularly, this idea that we might forget to apply it to arms and legs is just inconceivable. Tight thirsty skin would soon scream out for what it’s missing. But unfortunately feet are a bit too hardy, they put up with our forgetting to moisturise them, but just build up more and more dry & hard skin until they can sadly become almost hoof-like in their hardness. Try to get into the habit of applying cream to your feet morning and evening, and you will keep soft happy feet for much longer. Specially designed foot creams are richer than body lotion, so are ideal, but not essential. Just remembering to moisturise with something, even if it’s your usual body lotion or hand cream is better than nothing and will pay dividends in skin softness come sandal season. Be honest, how long have you had that particularly polish on your toes? If it’s grown out half way down your nail and is a lingering remnant of your late summer holiday, perhaps it’s time for a little refresh? Gently remove it and either, allow nails a good few months to go naked and breathe soaking up the benefits of your new foot moisturising habit, or if you must have polish on them make sure it’s a 3 free or 5 free one and seal with a good base and top coat to prevent staining the nail and minimise chips. Even if you are the only one to see them at this time of year, pretty well-cared-for toes will add to your confidence and help you walk out with a spring in your step. Until Monday 20th March - Save 15% on Hand, Foot & Nail Care products with code "SMOOTHE". If your skin is feeling a little tired, don’t despair. You don’t necessarily have to throw away your whole routine and start from scratch to change things for the better. One or two simple upgrades to your current programme can show rapid improvements in skin condition, leaving you ready to face the spring with confidence. After months of dealing with rapid temperature changes from toasty centrally heated homes to the icy chill as soon as you step outside, skin is often left feeling tight and dehydrated at this time of the year. A couple of drops of facial oil under your moisturiser, or even applied at the same time (simply pump both onto the back of your hand and mix before applying) will boost the moisturising effect of your current cream and banish tightness. Cleansing too, can contribute to feelings of tightness, particularly if you live in a hard water area. Change from a foaming facial wash to a cream style cleanser but still use it in the same way, effectively “washing” your face with it, and you will immediately feel the difference in softer, more comfortable skin. Pamper time seems to be being squeezed all the time (in my life at least), but if you can find 15 minutes to apply a scrub, followed by a mask, your skin will reward you with a beautiful healthy glow. Scrubs should gently polish your skin, never scratch it, and once or twice a week is plenty. It can be tempting to scrub too hard, or to use a scrub too often, as skin feels so lovely and soft afterwards, but go easy. Overzealous scrubbing will leave skin red and sensitive, whereas a gentle scrub used twice weekly will slough away dull dead surface cells, leaving lovely fresh new cells on display. Applying a scrub before you apply your hydrating mask means that none is wasted on skin cells that have had their day, and the newly revealed skin gets an intense moisture hit to help it look its very best and protect it from the elements. For the longest lasting manicure, always start by applying a base coat. Orly Bonder is brilliant as it's rubberised formula helps to prevent chipping. After your base coat is dry, apply 1 or 2 coats of your chosen colour. Apply in long sweeping strokes from the nail bed to the tip. Try to leave a tiny gap next to the cuticle and at the sides of the nail. If you flood the nail bed and sides the result will be messy. Try to have enough nail colour on the brush that you can work quickly and avoid having to re-dip the brush mid-nail. Allow the polish to dry a little before applying a Top Coat. This will protect your colour and prevent chipping. If you have long nails, an expert tip is to run a little top coat under the free edge of the nail so that it completely seals the colour at the end of the nail too. For the most professional finish you can then apply 1 to 2 drops of Flash Dry Drops to each nail to aid drying and leave them with a gorgeous high gloss finish. If you have made any mistakes they can be whisked away easily with the an orange stick wrapped in cotton woll and dipped into Gentle Polish Remover to leave you with perfect, salon quality nails.